Q: We were shocked when we saw the first look poster of Vivegam. 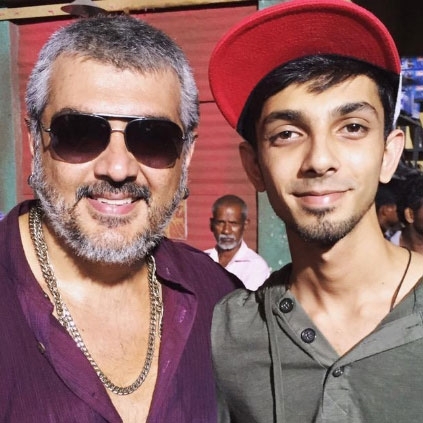 How was it to you while composing the background score for Ajith’s six packs scenes? Q: Will the album stay true to the film’s title (Vivegam)? Anirudh - “Yeah, everyone knows the film is based abroad. How do I say it? ‘Survival of the fittest’; that is the idea. How can we present that idea musically? We are trying something, let’s see how it goes. Did he say survival of the fittest? Wow, that sounds interesting! People looking for online information on Ajith, Anirudh, Thala, Vivegam will find this news story useful.